Question – My name is John Smith from San Jose in California and I have a relationship problem that I would like you to help me with. I have been heartbroken a lot of in the past where I had to break up with girls I was dating because months into dating I realized that we were not compatible. Recently however I met this girl that I am really interested in a girl but I would like this relationship to last as I do not really want to face yet another heartbreaking heartbreak. Is there a kind of relationship compatibility test I can take and how will this be helpful? This tests how much fun you have with each other either as a couple or as friends before you decide to go to the next level. Does your partner have a great sense of humor? How often do you laugh together? Are you the only one who tries to make her/him laugh? Do you feel like your partner is trying too much to have fun with you? Are you really comfortable in each others space? Do you have any shared interests that you have a good time with when you are just the two of you? Do you have any shared values? Obviously, this is very important for any relationship if you want it to last for long. Do you and your partner follow the right communication channels? Is your partner willing to listen when you talking or they only want to be heard? Are you comfortably keeping secrets from your better half? How do you handle any conflict that arises from the relationship? How often do you talk to each other let’s say in a day or week? Do you look forward to talking to your partner for instance telling them how your day was or just sharing anything that might interest him or her? Does your partner nag you at all times or are they understanding? Do you feel like you are the only one in the relationship or both of you are working towards the success of your relationship at the end of the day? This is another important aspect that features on the relationship compatibility test. Some of the questions that you can ask yourself when it comes to this include: is your partner giving you the emotional support you need? How supportive is your boyfriend/girlfriend especially at times when you need them most such as when you are ill or facing stressful situations? When it comes to career is your partner supporting you or are they are just in the business of putting you down generally not wanting you to progress? If you are intimate with each other, are you getting fully satisfied or do you feel like you have to sacrifice your happiness in a bid to make him or her happy? Is your partner willing to listen to some of the concerns you may have with bedroom matters or they are rigid and would not like to discuss or change anything? Can you comfortably discuss intimacy issues with your partner? Is there something that you would like to be improved with the intimate section of your life? How does your partner feel about all this? Have You Found True Love? 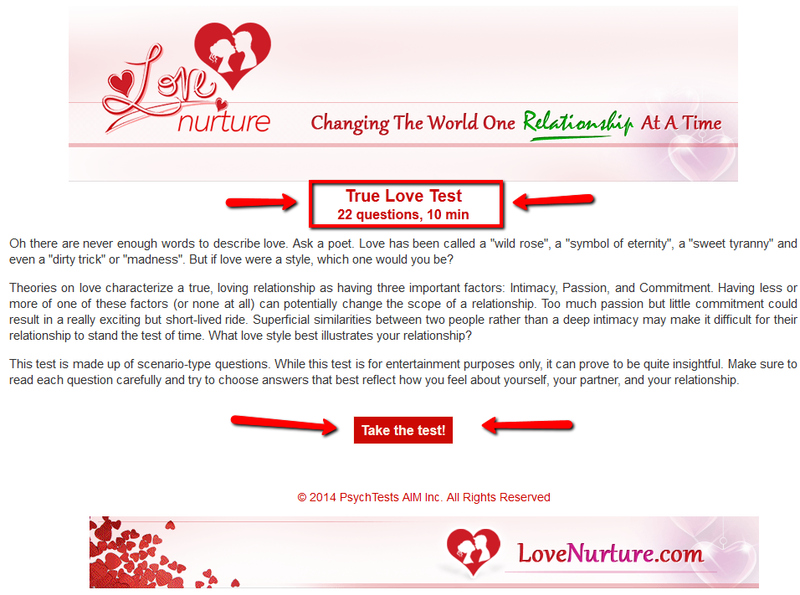 Take The True Love Test! One of the things that make relationships not head anywhere is not having any shared goals because you will not be on the same path at the end of the say. 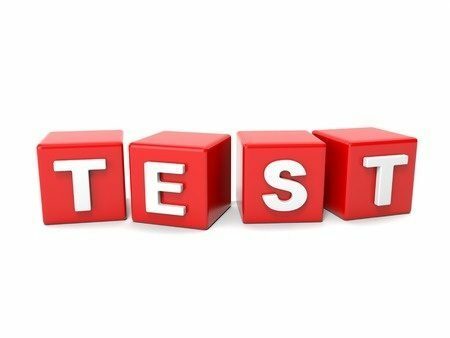 The relationship compatibility test also seeks to find out if you have any common goals with your partner. For instance would you like a serious marriage that could lead to marriage or both of you are looking for something convenient? Where do you see yourself in the next 5 years and do you see a life with your family. Do you feel like you can grow old with your partner and enjoy a long and fulfilled life? Are you willing to stand by your partner for years to come? You may also want to take a look at a couples quiz here.